Give your party outfits the ultimate finishing touch with our ormate limited edition bespoke venetian collection of masquerade masks. Each beautiful, unique high-end handmade piece is made only for Simply Masquerade & chosen with care and attention by us just for you. 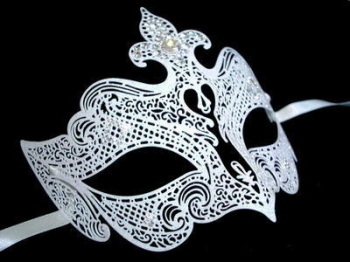 Are you looking for a genuine unique and chic bespoke Venetian Masquerade Mask? If quality craftsmanship and authenticity matters then a Simply Masquerade Real Venetian Mask is perfect for you. When you buy from our Venetian Luxury bespoke range, you are acquiring a piece of real limited edition Venetian artwork - and keeping alive an ancient tradition. Can't find the mask you want? Just ask and we'll help you to find the exact style you're looking for. Take advantage of free delivery and order your real designer mask today.